Microsoft has developed an easy way for you to connect and upload files to your website. 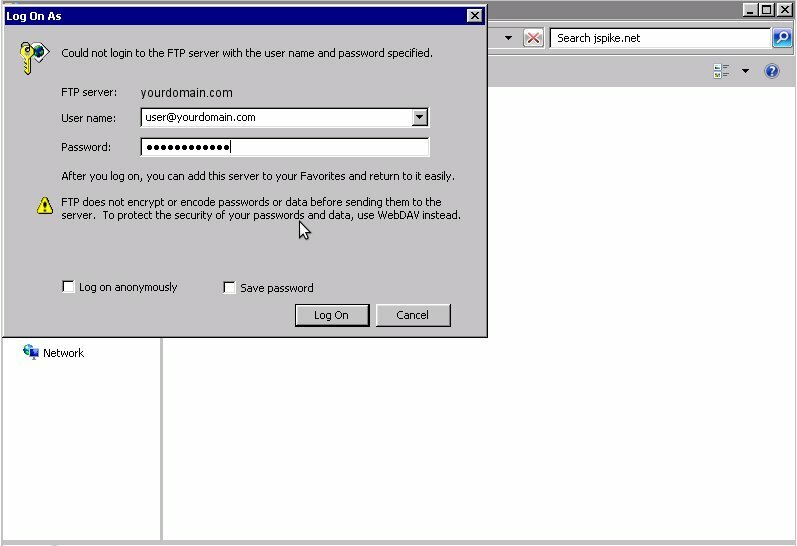 This guide will walk you through connecting to an FTP account using Windows Explorer. Note: We are not referring to Windows Internet Explorer but the actual Windows Explorer you use to manage files on a Windows PC. 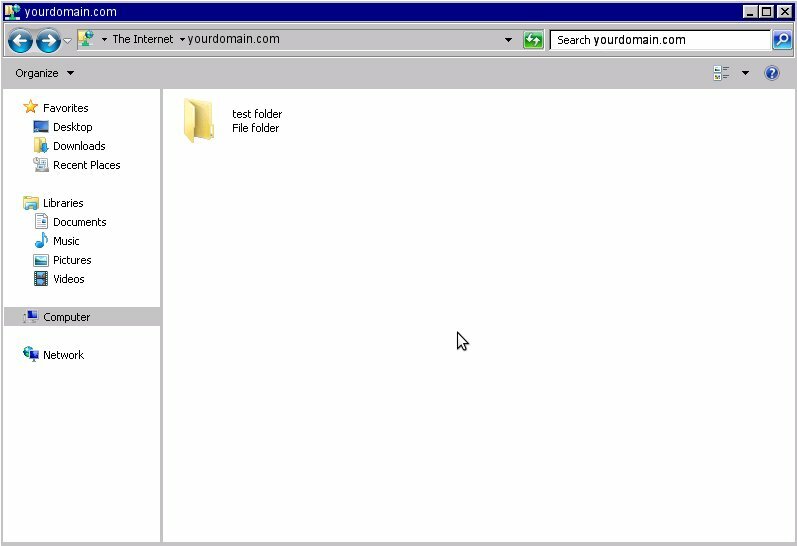 Internet Explorer once had a built in FTP client which a lot of people used, but you can NOT access FTP through Internet Explorer anymore. Server: Your primary domain or the IP of your server. Password: The password that was created for the user you are using. Now that you have the account information you need to pull up Windows Explorer. 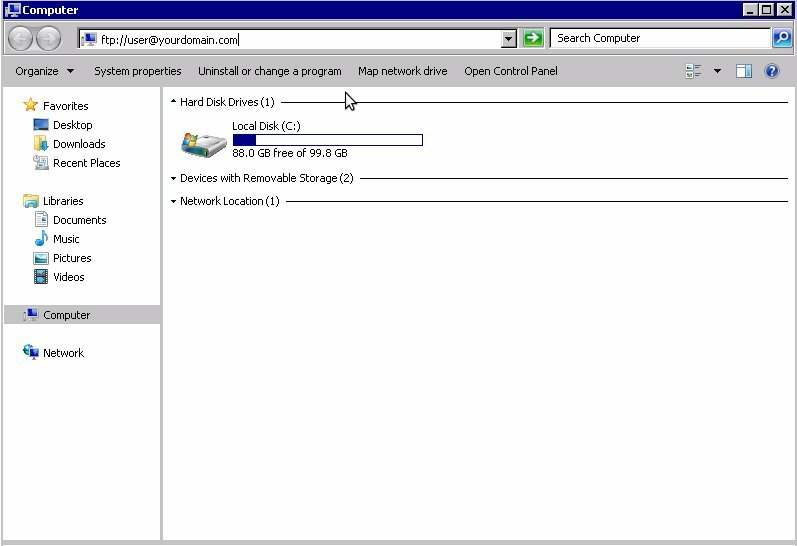 You can go to Start > Computer or use the shortcut Windows Key + E to start Windows Explorer. 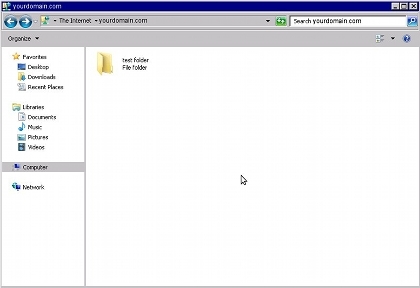 Type ftp://username@example.com into the top address bar. Replace username with your cpanel username and example.com with your primary domain name. That should connect you and cause it to prompt you for a password. Note: If you just enter ftp://example.com, you will be connected anonymously. You cannot upload or download when you connect anonymously, so be sure to use ftp://username@example.com so you are prompted to input a password. Input the full username and password for the account you wish to connect to and click Log On. You now have an open FTP connection. 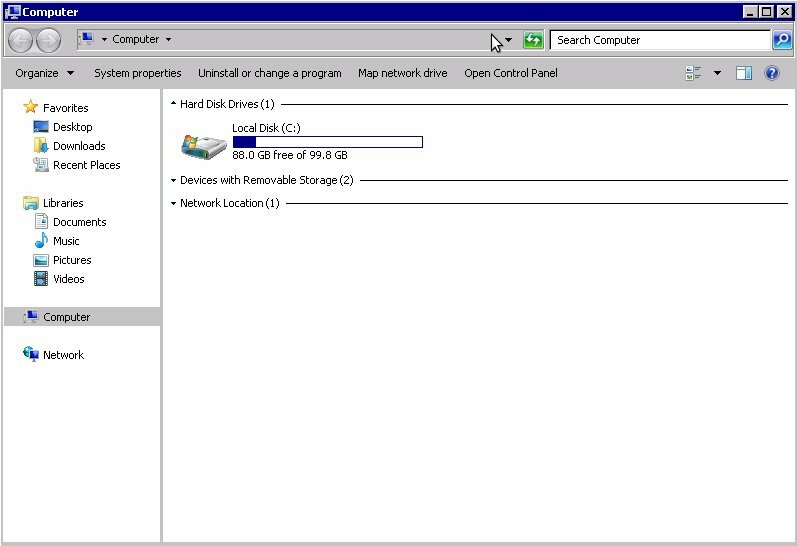 You can drag and drop files to and from this window and your computer to upload/download files. If you forget to enter a username and password, then you may see folder called "pub". If so, you have accidentally tried to connect to anonymous FTP, and your connection has failed. Please try again.